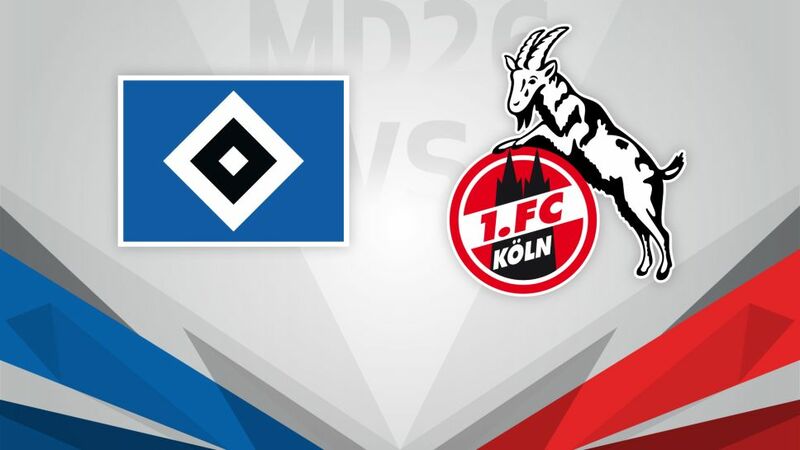 Third-bottom Hamburg could steal a march on the rest of their relegation rivals if they manage to make home advantage count against Cologne on Saturday (kick-off 15:30CEST/14:30BST). Despite gathering seven points from their last three matches, Hamburg are still in the relegation play-off place. A 0-0 draw away to Eintracht Frankfurt on Matchday 25 kept their positive momentum going, and a third home win in a row could see Markus Gisdol’s side make major gains. The four teams directly above Hamburg are away from home this weekend, so if results go their way the Red Shorts could climb to 12th. In the worst case scenario though, the gap to safety could increase to five points. Sixth-placed Cologne have Hertha Berlin in their sights after an Anthony Modeste hat-trick last time out lifted them to a 4-2 win over the next team above them in the table. The Billy Goats’ six-game run without a victory before that game started with a 2-0 DFB Cup defeat at Hamburg in early February. However, Modeste hit another hat-trick in the previous league meeting between the sides, when Cologne made the most of US international Bobby Wood’s sending off to win 3-0 in October.